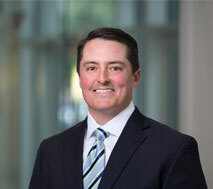 Trey Smoak is the Chief Operating Officer of Recruiting Solutions and Virtual Business Office Associates (Virtual BOA). Trey is responsible for the development of financial and organizational management strategy that contributes to the organization’s strategic goals, mission and objectives. This includes oversight of company operations as it relates to ensuring efficiency, meeting quality standards, exceptional service delivery and cost-effective management of resources. Trey is a Columbia native and graduated from the University of South Carolina, with a Bachelor of Science in Business Administration. He entered the staffing industry in 1999, where he worked for an international recruiting firm before joining Recruiting Solutions in 2004. Shortly after joining the company, he helped design and develop our Virtual BOA, which was created to support the long-term talent management objectives of their clients. Trey received his PHR (Professional in Human Resources) certification in 2003 and is an active member of MEBA (Midlands Education and Business Alliance), and SHRM (Society of Human Resource Management). In his spare time, Trey enjoys spending time with his wife, Bobbie, and daughter, Emma. The Smoaks are avid Gamecock fans and enjoy entertaining friends on game day. In addition, Trey is an avid golfer, outdoorsman, and enjoys boating on Lake Murray.